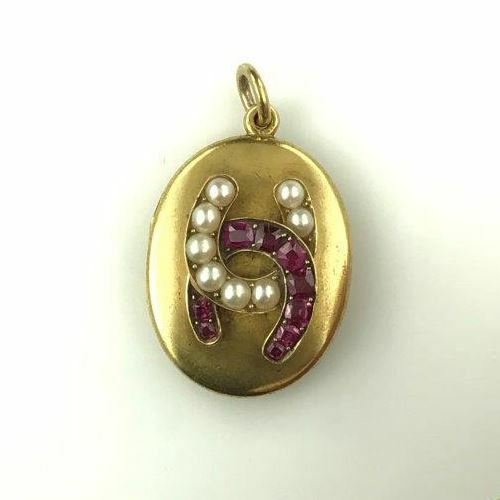 A magnificent 19th century 18ct gold locket, with 9 pink-ish red rubies and 8 natural half-pearls forming 2 linked horse shoes. Monogram to the reverse. 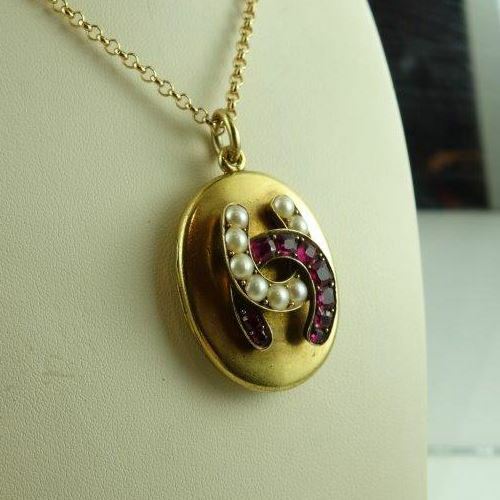 Locket contains hair work bound by gold thread, and is engraved “January 1st 1862”.